No words needed for this chart. It's just a visual reminder of where we are. Sorry, this graph cries out for words. This graph is meaningless to even those who know a little about stocks. It is misleading to intimate that rising stock prices, alone, means that there is a bubble in the making. 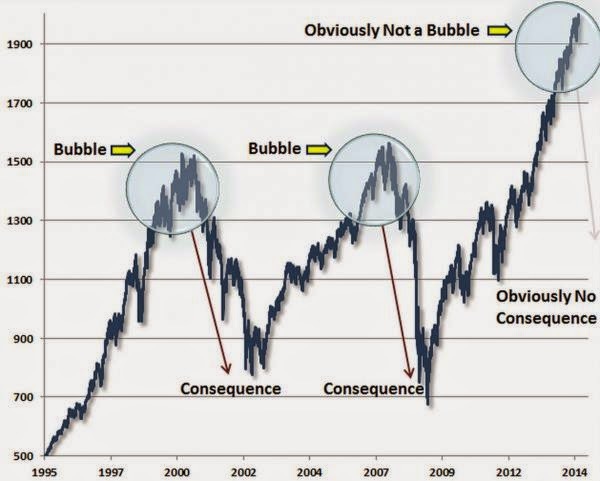 If you think low valuations, for example, is the reason for the bubble, THEN SAY IT! Who Is Really Enjoying Labor Day In America?